JEE Main 2017 Application Form: The Joint Entrance Examination (JEE) is one of the top level examination in India. It have 2 stages which is conducted by the CBSE board. The applicants who interested to join in UG (Engineering/ Architecture) courses in NITs, IITs or other institution, must have to write the JEE Main Exam. The candidates who qualified in JEE Main 2017 will be eligible to take up JEE Advanced examination. For further details, keep watching our webpage regularly. The JEE Application Form 2017 will be available from 1st week of December 2017. So the interested & eligible candidates who want to get admission in NITs/ IITs, are advised to apply by submitting the JEE Main Application Form 2017 through our examlevel.com site. Otherwise, visit the official webpage and find the registration form. The aspirants who are all willing to apply for the JEE Main 2017, must read the eligibility criteria from the under available link. If you full fill the eligibility, then only you can apply for the JEE Main Examination 2017. 1. Examination Pattern: This JEE Exam 2017 will be conducted for 2 papers. The applicants who want to take admission in BTech/ BE, must have to apply for paper 1. The same way, who want to take admission in BArch/ BPlanning, they must apply for paper 2. For more details about JEE Examination Pattern, read this article fully. 2. Education Qualification: The applicants who possess higher secondary examination or equivalent in the academic year 2015/ 2016 (appearing candidates can also apply), can eligible to apply. Must have scored 50% of aggregation marks in Chemistry, Physics & Mathematics. You must have minimum 5 subjects in HSC standard. The candidate can take up the JEE Main examination only in 3 attempts. Diploma holders (3 years) can also apply for JEE Main 2017. 3. Age Limit: The aspirants must have born on after 1st October 1992 for General Category Candidates (for Reserved Category 1st October 1987). General Category Candidates: 105 marks. The applicants who want to get admission in undergraduate engineering in B.Tech/ BE/ B.Arch/ B.Planning, must fill the JEE Main Application Form 2017 in a prescribed format and have to submit it before the end of submission date. 2. Examination Centres: The examination controller has been conducting the JEE Exam 2017 in various states & centre such as Madhya Pradesh/ Gujarat/ Maharashtra/ Haryana/ Uttarakhand/ Nagaland & Odisha. First logon the official website of JEE. 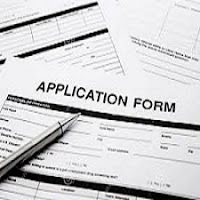 Then find & visit the application form from the admission 2017 link. Before going to apply, must read the eligibility criteria. Then fill application for in a prescribed format. After completed the payment process, submit the filled JEE Form 2017. Finally, take a print out of the submitted form for your future reference. NOTE: After applied for JEE Main 2017, you have to prepare for the examination. So download the JEE model question papers from any authorized site and prepare well. Uttar Pradesh - 201 309.